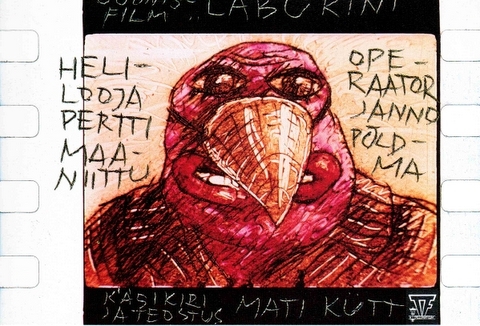 PÖFF Shorts will be carrying on the tradition of the Black Nights Film Festival to highlight the work of Estonian animators with this year’s focus on freelance artist and animator Mati Kütt. The six films in Kütt’s retrospective cover 26 years of his work, starting with the short story from his animated cartoon 1+1+1 (1981) in collaboration with Heiki Ernits and Valter Uusberg, and ending with 3D experiments in his film Substantia Stellaris. From Kütt’s earlier work there will be a screening of the unique German underwater opera Smoked Sprat Baking in the Sun that could be considered an important milestone in Estonian animation as well as globally. Mati Kütt has worked in the Animated Film Department of Tallinnfilm Studio and has been a freelance artist since 1995. Kütt is a former scholar of motion studies and experimental animation at Rocky Mountain College of Art & Design in Denver and he is also a member of the Estonian Filmmakers Union, Estonian Artists’ Association and the Estonian Painters’ Association. Mati Kütt’s retrospective screening will take place on 23rd November at 16.00 in Kinomaja. Get your tickets HERE!